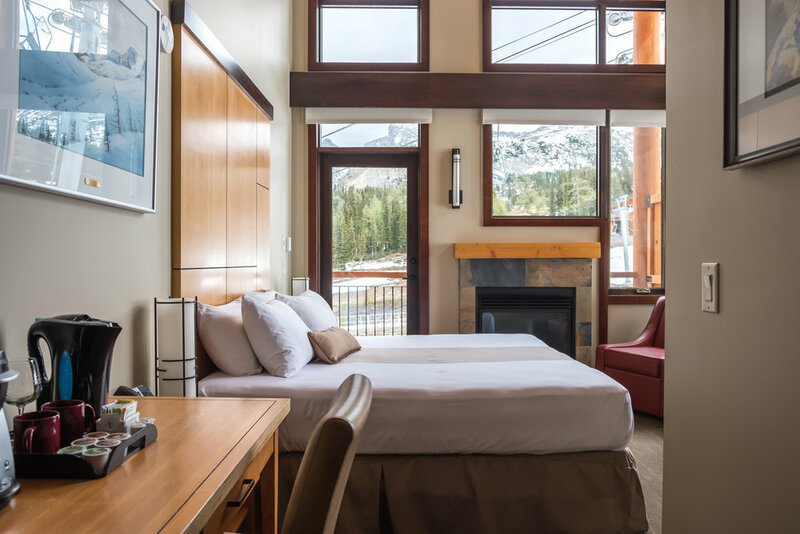 Sunshine Mountain Lodge offers a broad range of rooms, ranging from affordably intimate and cozy to spectacular and sprawling suites ideal for families. All are decorated in a rustic mountain theme, but have luxury touches to ensure you are pampered after your day on the slopes. Your Customer Care agent can help you select the room that’s right for you. Imagine waking in a winter paradise. You hit the remote-controlled shutter to behold a stunning view of Lookout Mountain via 27 feet of glass. 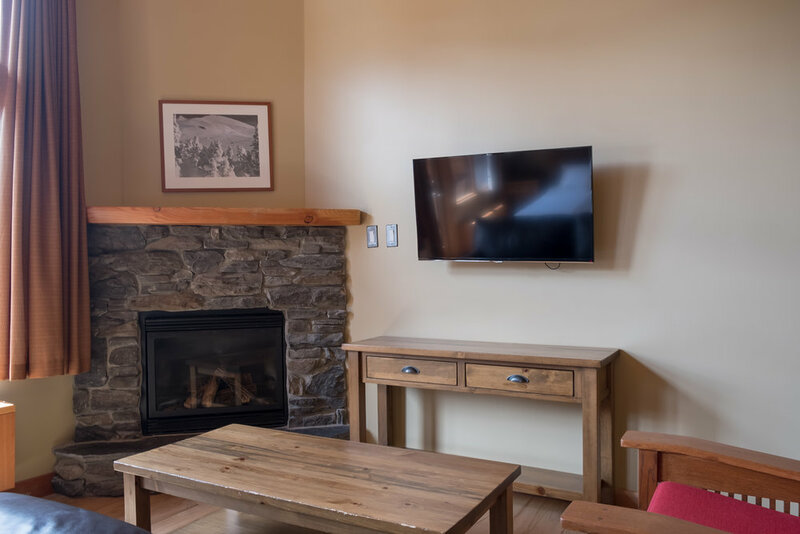 Inside, each room has in-floor heating, natural gas fireplaces, flat-screen televisions, upgraded amenities. The upper loft features a king-sized bed, private bath and flat-screen television. The main floor has a bathroom with jetted tub and windows that open onto the room, a queen bed, plus a second queen-sized Murphy bed. 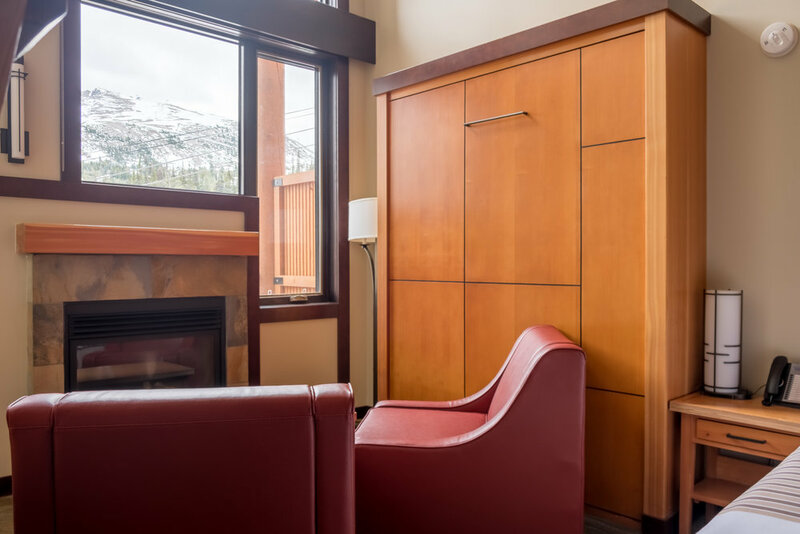 The premiere rooms are located in the West Wing of the lodge. These rooms offer many of the same amenities as the Loft suites. 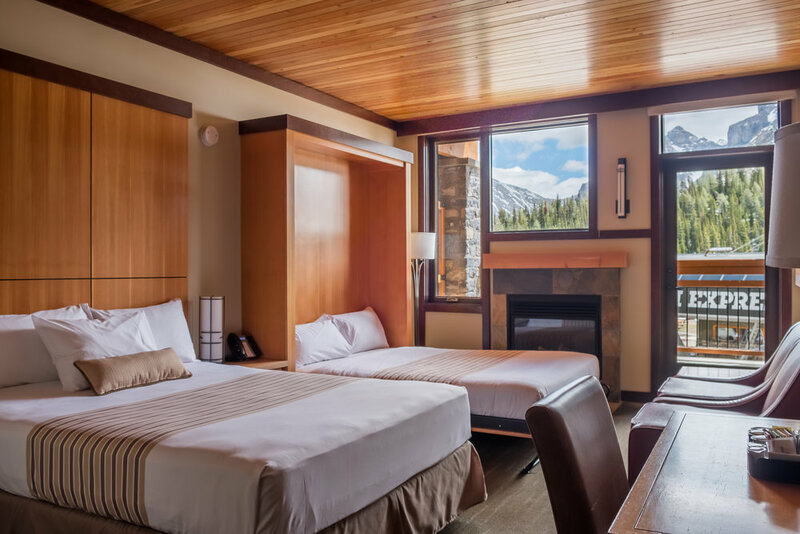 Each room features a queen bed with a second queen sized Murphy bed, stunning floor-to-ceiling mountain views and has ski-to-the-door convenience. They are decorated with a contemporary mountain feel, with an accent on luxury. These rooms are located in the main lodge. They feature majestic mountain views from your own private slope-side balcony. These beautiful rooms feature a queen-sized bed, with single trundle bed. Flat screen TVs are standard. 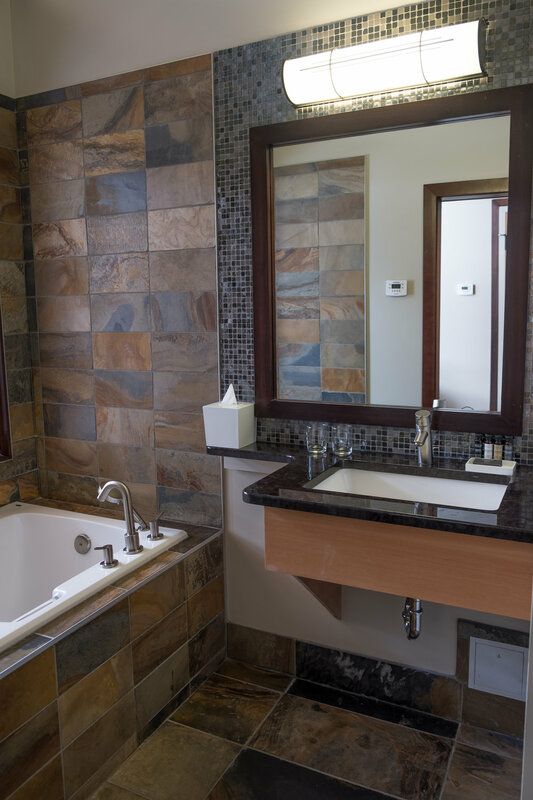 The bathrooms feature slate floors, granite counter tops and eco-double flush toilets. Wake up each morning to fresh powder. These rooms are located in the main lodge. 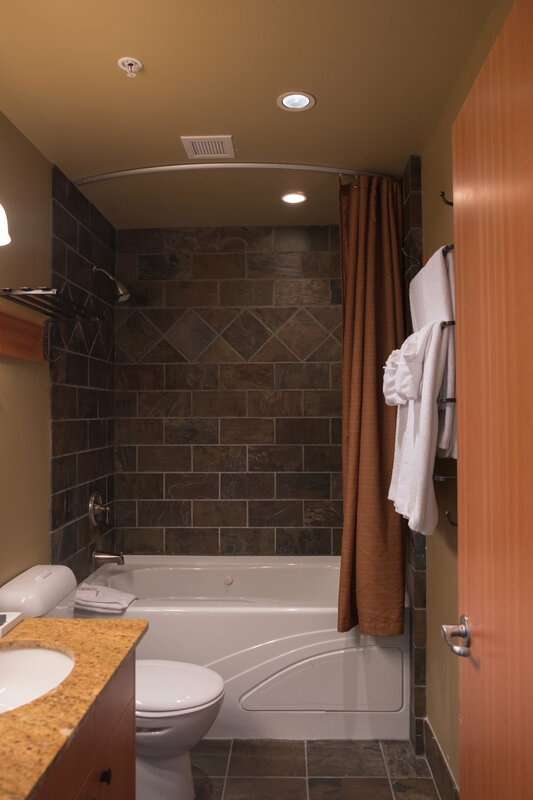 The bathrooms feature slate floors and granite counter tops and eco-double flush toilets. 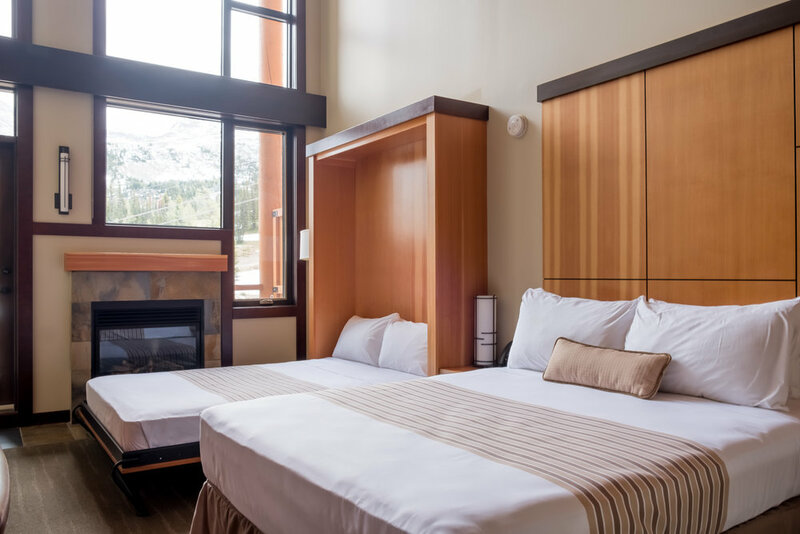 These rooms feature a queen sized bed, with single trundle bed, face the Waterfall run and are especially quiet after hours.